The cocoa tree (Theobroma cacao) is a tropical evergreen from central and northern South America. Chocolate comes from the cocoa beans and is considered a treat in many cultures. 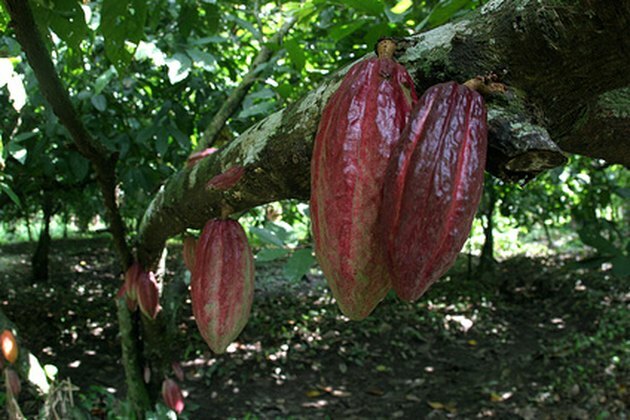 The cocoa tree grows in tropical regions near the equator, where temperatures range from 65 to 90 degrees Fahrenheit. 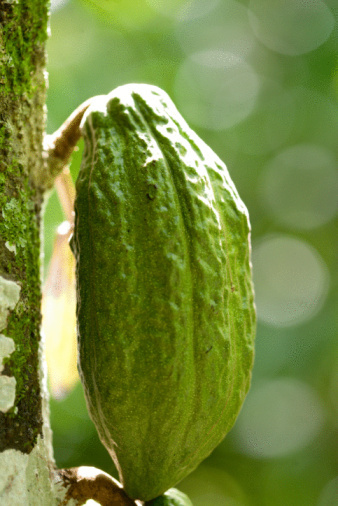 Fruit of the cocoa tree contains seeds which are processed into chocolate. Cocoa trees are grown from seeds or stem cuttings in nurseries and transplanted to the field. Growers will often plant cocoa seedlings beneath the canopy of larger crop-producing trees, such as banana and coconut. The canopy protects sensitive seedlings from direct sun and wind while providing multiple crops. 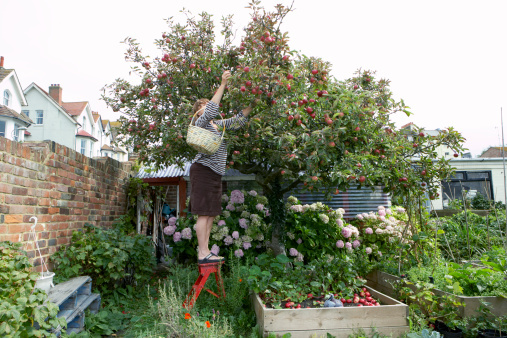 The diversity of plants also prevents pest infestations. Cocoa trees enter the reproductive stage after approximately 5 years. Flowers are small, white-pink and have 5 petals. 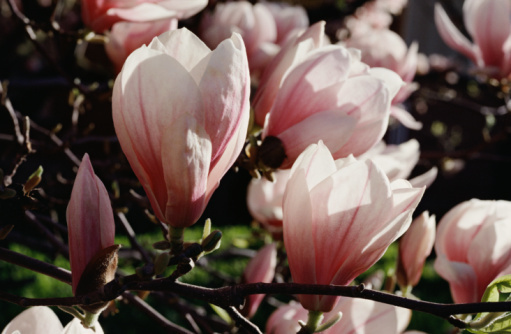 They develop from tissue on mature branches and the trunk and are pollinated by small insects. The fruit of the cocoa tree is called a pod, but botanically it is a drupe. Mature fruits form five to seven months after pollination. They are oval-shaped and grow 7 to 14 inches long. Within one pod are 20 to 60 cocoa seeds. Ripened pods are orange, yellow or red. Mature fruit can be harvested for three to four weeks until the seeds within the pod begin to grow. Pods are taken off the tree manually. Seeds are removed from the pod and undergo fermentation and drying. Pod husks are often returned to the field to add nutrition to the soil. What Is the Difference Between Mussels & Steamers?